Could we be getting an Agent Carter movie? 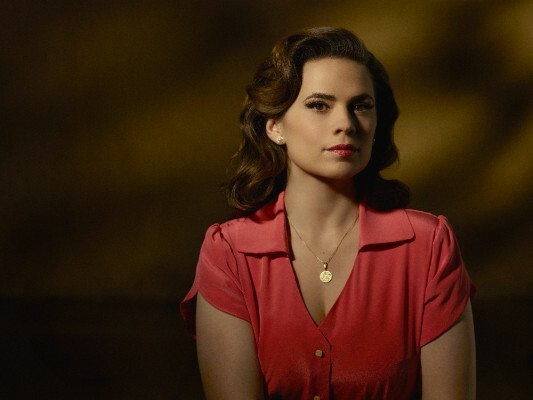 Recently, star Hayley Atwell teased possible plans for the cancelled ABC series, TVGuide reports. Last month, the network cancelled the Marvel series after two seasons. Since then, fans have rallied for a third season, with stars saying they’re completely on board for more. What do you think? Are you a fan of Marvel’s Agent Carter? Do you want a season three and/or movie? More about: ABC TV shows: canceled or renewed?, Marvel's Agent Carter, Marvel's Agent Carter: canceled or renewed? Marvel’s Agent Carter: Season Three with a Super-Powered Peggy? Please don’t tease us fans!!!! Bring it back!!!! It’s exciting that there is a possibility Agent Carter will be back for another season,, hopefully more than one. Also, a movie would be great. This unique, smartly written and well acted show is refreshing and highly entertaining! Please make much more of the same!!! So excited, hope they do more seasons, such a TERRIFIC, SMART show! !